Falling in love is easy, but staying in love – now that’s the challenge in marriage! So, how can you keep your relationship fresh and growing with all of the demands and conflicts of everyday life? In the book ‘The 5 Love Languages’, you’ll discover an approach to showing and receiving love that will help you experience deeper and richer levels of intimacy with your spouse. Also at the end of the book is a quiz you and your spouse can take to help you figure out their love language. Marriages may be made in heaven, but they must be nurtured here on earth. 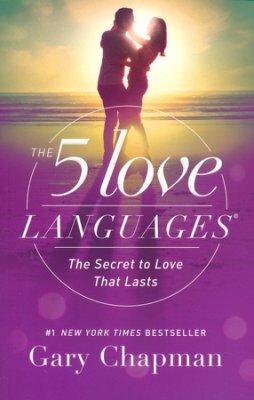 The ‘5 Love Languages’ explains how people communicate love in different ways, and shares the wonderful things that happen when a husband and wife learn to speak each other’s language. Chapters are categorized by love language (Words of Affirmation, Quality Time, Gifts, Acts of Service, and Physical Touch) and each one ends with simple steps to express a specific language to your spouse and guide your marriage in the right direction. 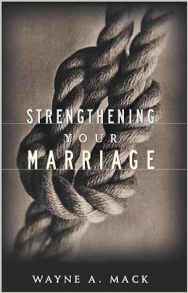 This book is a wonderful investment for your marriage and your family!